Secretary of State John Kerry visited the the Silicon Valley Monday to discuss online security in the wake of cyber hackings being more commonplace. Bank, e-mail and even election computer hacking have all made recent headlines, and Kerry said part of the reason he is in the Bay Area is to get answers. 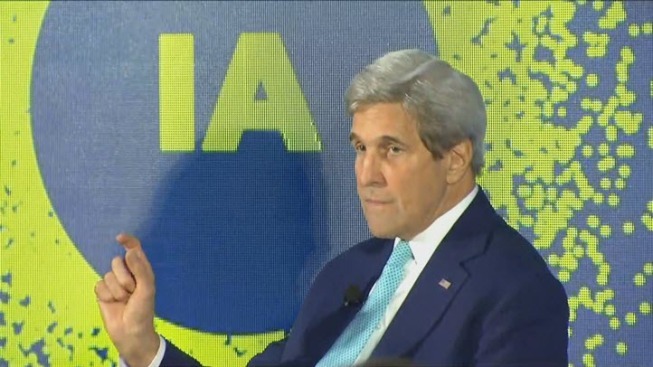 "That's where we need all of you," Kerry said. "This is a conversation we need to have. I do not come here with all of the answers because a lot of this is uncharted territory." Kerry and other Silicon Valley Internet leaders spoke at the Virtuous Circle conference. The event continues Tuesday with industry leaders, including Facebook COO Sheryl Sandberg, Uber CEO Travis Kalanick and Arianna Huffington.